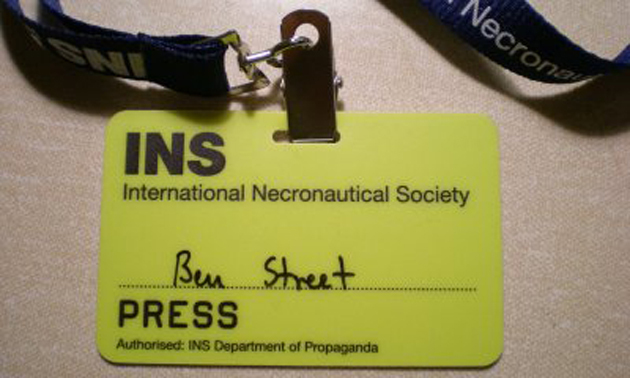 The International Necronautical Society exists as both fiction and actuality. February 24, 2008 8:00 p.m. Featuring Anthony Auerbach, INS Chief of Propaganda, and Simon Critchley, INS Chief Philosopher.